Brunch. Such an amazing concept isn’t it? French toast, eggs how you like ‘em and no judgement of ordering alcohol before 12…it really doesn’t get much better than that. Brunch has become a popular movement over recent years with practically every restaurant opening early to deliver a plethora of morning treats to satisfy the tums of early rises and food enthusiast’s alike, but when it comes to the city of Manchester – with so many eateries to choose from, how can you be sure you’re visiting the hot spot that’ll have you bEGGing for more? As my gift to you I’m going to share my Top 5 Manchester Brunch Spots worth rolling out of bed for. Like pancakes? Like French toast? Like gravy with breakfast? Then I’ve totally just found your new favourite brunch spot. Focussing heavily on Southern Hospitality, Alabama’s is truly one place you can guarantee service with a smile before tucking in to a hearty plate of grub. I went for the Monte Cristo Sandwich whilst my friend plumped for the full works. Both were a divine creation. Basically a pimped out Croque Monsieur, my Monte Cristo sandwiched together oozy cheese with meaty strips of ham before being lightly fried in butter and dusted with powdered sugar. My brunch buddy’s full works comprised home fries with sausage patty, bacon, eggs and breakfast gravy – a variation of the classic british staple but a beautiful revolation all the same. The laid-back Federal Cafe and Bar is New Zealand inspired which transpires effortlessly in both food and service. I went for the veggie breakfast which combined perfectly poached eggs, a toasted bagel glistening in garlic aoli, spinach and halloumi just for good measure. Fresh, rich, lip-smacking and satisfying. A really special mix of flavours and textures. 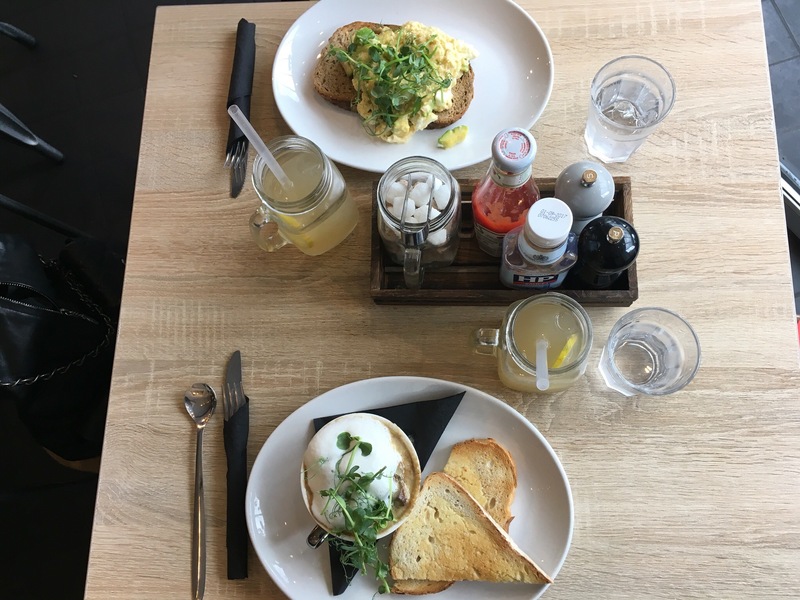 Notable mention should also go to the Eggs Benny which was switched up with avocado and smoked salmon; pop an oozy chucky egg on top and there you have a symphony of rich flavours coming together with deliciously fresh clean ones. Also I have no idea what makes their tomato salsa so good, all I know is that you need it in your life immediately. The perfect out-of-town choice, The Elk of Chorlton provides the cosiest of wake-up calls thanks to its relaxed decor incorporating exposed brick, a coal fire and squishy leather chairs. Friendly servers dish up brunch classics which hold a certain refinement in themselves. With everything from sweet and savoury pancakes to a full and veggie English to appease the masses, you can’t go far wrong with a trip to the Elk, and if you stick around long enough – be sure to check out their lunchtime cheese boards too. Also – did I mention it’s dog friendly? Just in case doggy cuddles were high on your agenda (and they bloody well should be). This is for the kids kickin’ it old school, who don’t believe in knives and forks at breakfast, and that still enjoy the thrill of a potential prize in their cereal box. That’s right guys; I’m talking about Black Milk Cereal Dive found in the Mancunian institution that is Affleck’s Palace. If cereal isn’t your bag, skyrocket your sugar levels with one of their High Rise Shakes complete with a slab of homemade cake on top. Bringing your own insulin is advisable. *But still not Oreo O’s! Only available in Tokyo, I had these once and will forever treasure the memory. You know what’s better than a punny restaurant name? A punny restaurant name that delivers a darn tasty brunch! 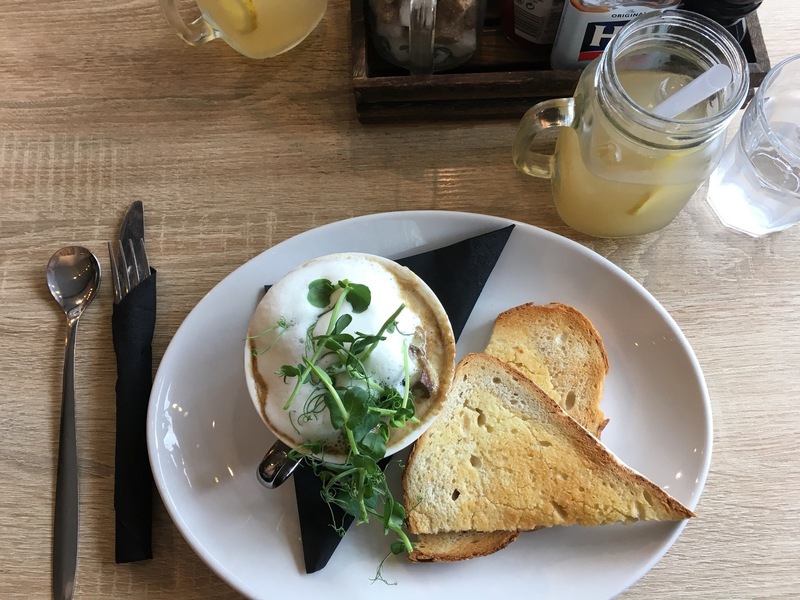 The Thyme out Deli can be found in the heart of West Didsbury, cosily tucked away a few hundred yards away from the trendy strip of quirky cake shops and revolutionised vintage wear. Serving up a mixture of breakfast classics with new and notables including Eggs Cocotte and Banana Split Pancakes, this is a picture perfect spot for the most important meal of the day. 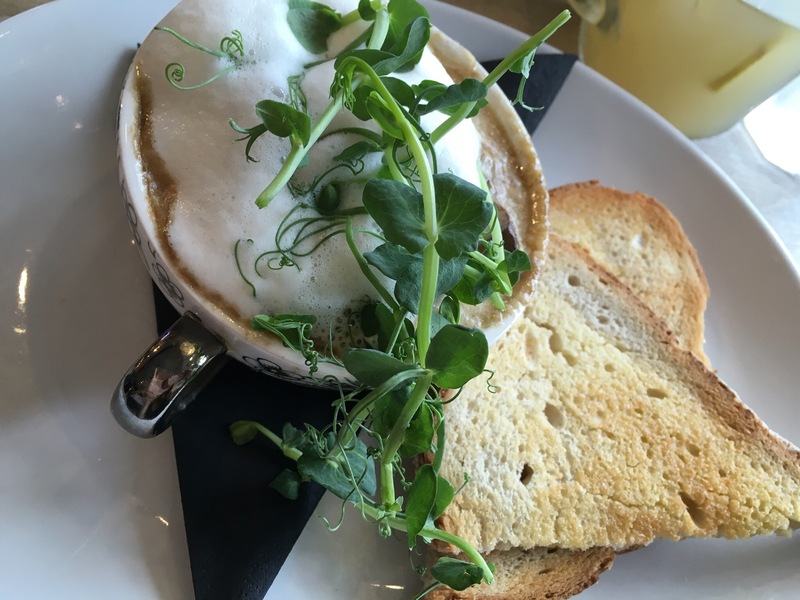 I opted for the Eggs Cocotte; a wonderfully cheesy concoction incorporating baked eggs with sharp gooey spoonfuls of cheddar, mushroom foam and golden buttery triangles of sourdough bread, a truly splendid way to start a Sunday. 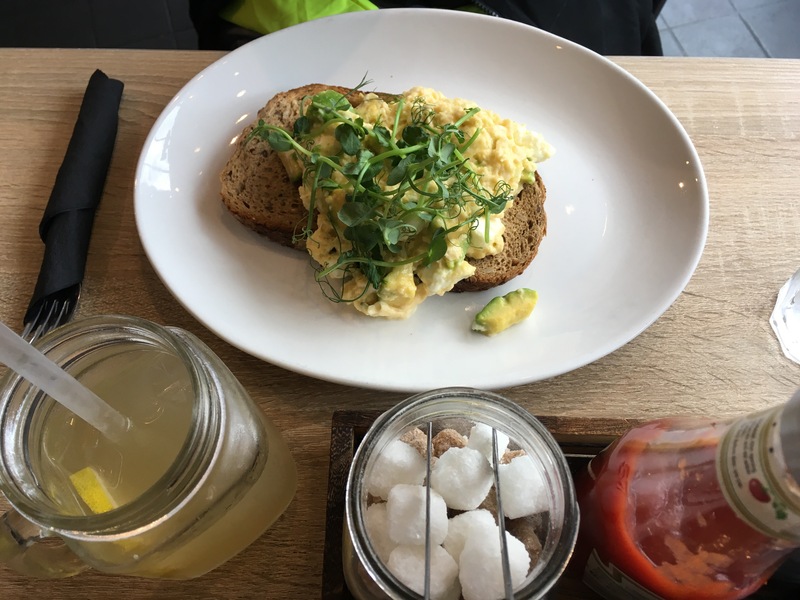 My co-diner chose scrambled egg with feta and avocado on toast – perfectly combined, a brunch classic. 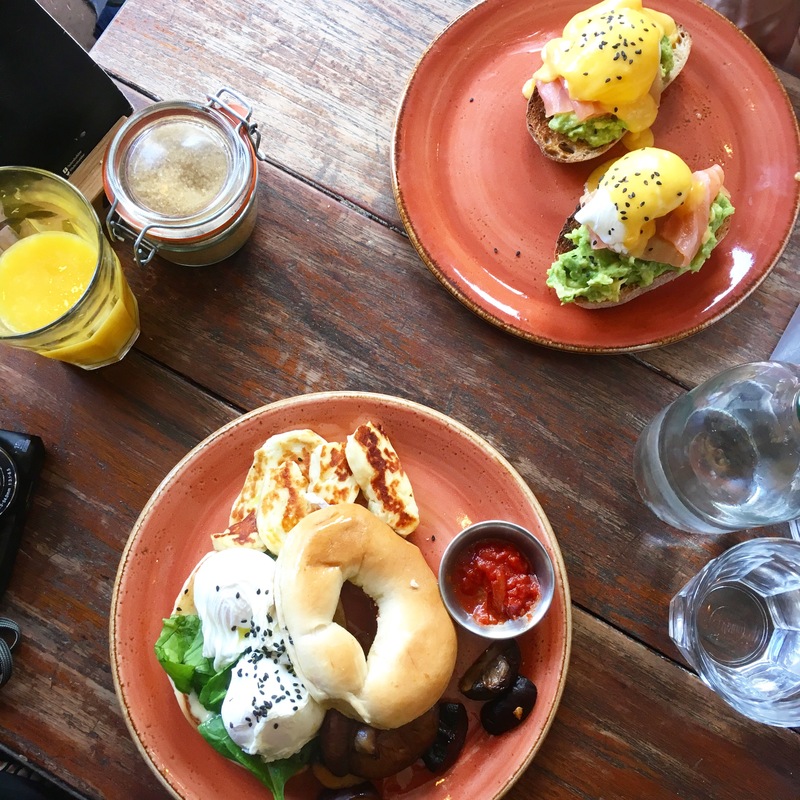 So there you have it, just a handful of the glorious brunch options this fair city has to offer – which one will you be putting on your hit list? Be sure to share your favourite place for the most important meal of the day – I’m always on the hunt for a new favourite!